The Los Angeles World Airports (LAWA) board has awarded the LAX Integrated Express Solutions (LINXS) consortium a $4.9 billion contract for an automated people mover (APM). LINXS’s 30-year public-private partnership (PPP) will see them design, build, finance, operate and maintain the 2.35 mile APM at Los Angeles International Airport (LAX), one the busiest airports in the world. The award follows the board’s approval of LINXS as the recommended developer in February earlier this year when a $42 million early works agreement was reached, initiating pre-construction activities. A spokesperson for LAWA said that LINXS’s proposal had the “highest technical score and the lowest cost proposal” of the three teams that participated in the procurement process. 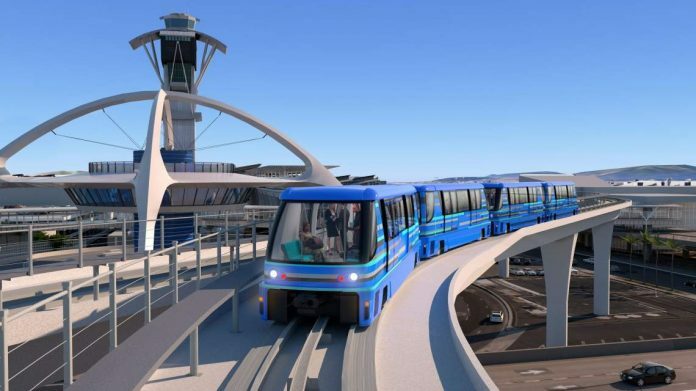 Los Angeles mayor Eric Garcetti added: “We are investing billions to modernise LAX, because it is America’s gateway to the world. Bombardier Transportation will provide its APM system for the project, including all of the vehicles. The system should be operational in 2023. Wide-door driverless trains will operate at two minute headways with the APM carrying up to 10,000 passengers per hour. The APM will reduce vehicle congestion in the terminal loop, provide a connection with L.A. Metro’s regional transport system, create new locations for passenger pick-up and drop-off, reduce emissions, and provide reliable access to the terminals. 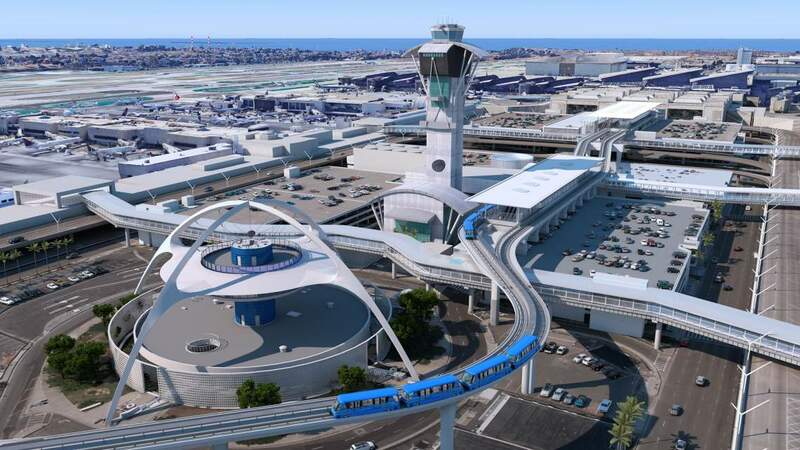 It will be the centrepiece of LAX’s Landside Access Modernisation programme, which also includes a consolidated rent-a-car facility and an intermodal transportation facility.